Added by Dr. Sook-Ja Yoon on August 30, 2015. 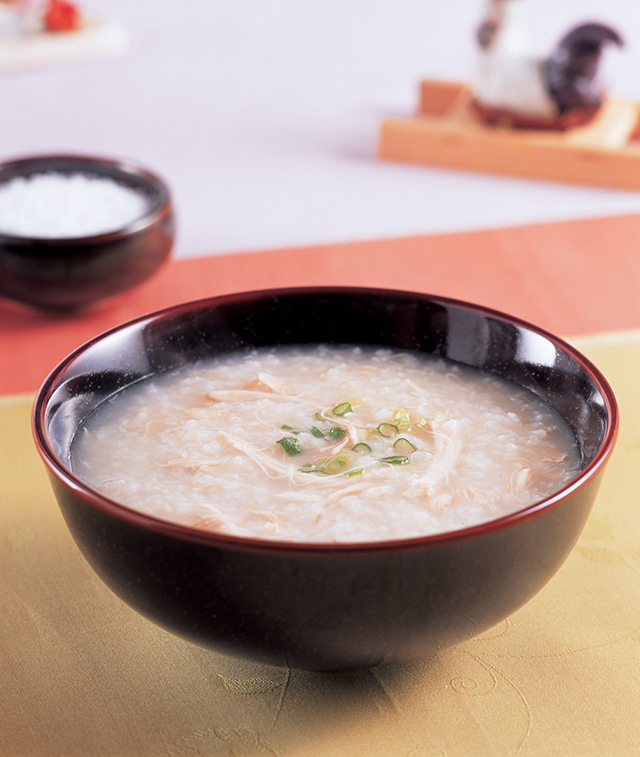 Dak-Juk is a chicken porridge dish with nonglutinous rice. A chicken contains high protein with low calories; it is good for brain and stamina, especially good during the Summer. 1. 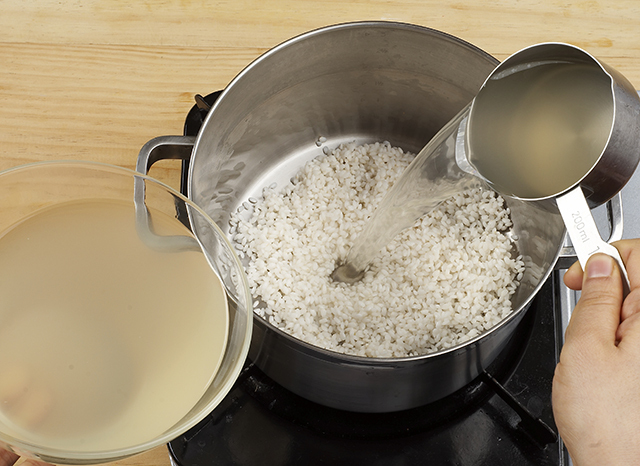 Soak the nonglutinous rice in water for 2 hours; drain for 10 minutes. 2. Clean the chicken. Prepare the seasoning salad. 3. Soak the milk vetch root in water for 2 hours. 1. Boil the milk vetch root for 12 minutes at high temperature; for 45 minutes at medium temperature; drain. 2. Add the chicken and seasoning salad; boil for 30 minutes at medium temperature. Take out the chicken and cut in 5cm wide and 0.5cm thick. Keep the chicken soup. 3. 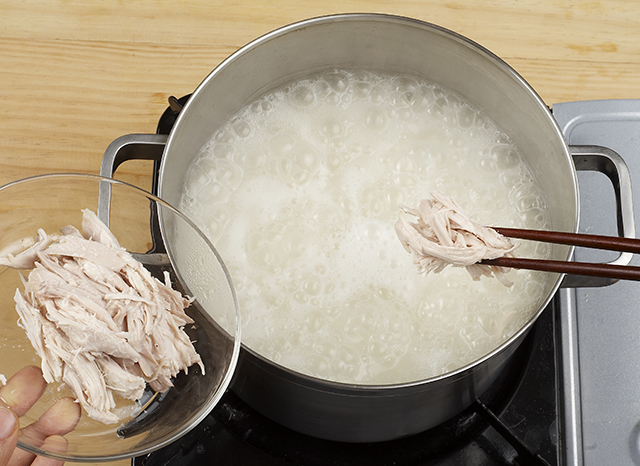 Boil the nonglutinous rice with the chicken soup for 9 minutes at high temperature; boil for 30 minutes at medium temperature. 4. Add the chicken; boil for 5 minutes; season with the salt; boil for 2 minutes. * You can add ginseng instead of milk vetch root. 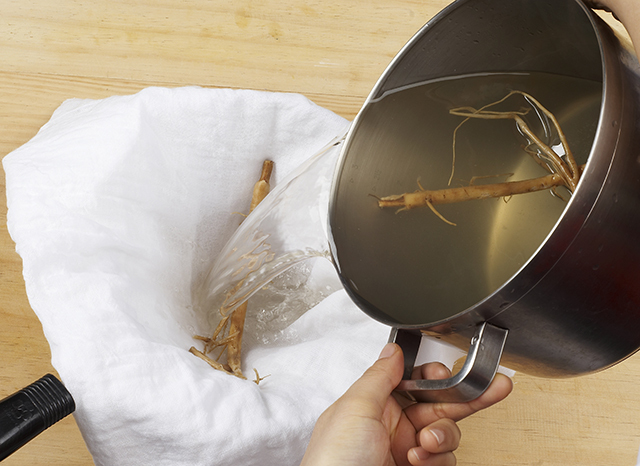 * Soak the milk vetch root in water before boiling for better flavour. 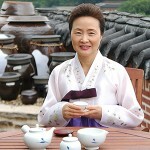 Dr. Sook-Ja Yoon is the foremost authority in the Korean Culinary Arts. Her institute, the Institute of Traditional Korean Food, located in front of the beautiful Chandeok Palace of Jongno-gu district, is a professional research organisation established and devoted to the research, development, popularisation and globalisation of traditional Korean food. It was founded in 1998 with the headquarters in the Ulchiro area of Seoul but then moved on the 8th of November 2001 to the current location.